The Spirit Tracks hype train is now in full gear. Just today the official Japanese Spirit Tracks Website was launched and it features a much wider version of the European box artwork that was revealed just over a week ago. You can view a small version of the scene artwork just to your right, but if you click here you can get a high quality version of the image. Ever since the European box artwork was released just over a week ago, there has already been speculation over what the tower in the background is for. The larger scene artwork gives us a much better view of the tower, as well as the volcano and what looks like mountains of ice in the background. 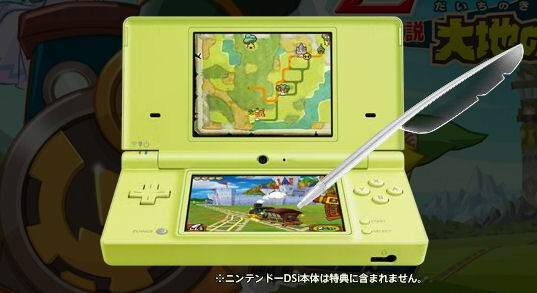 Additionally, it appears that Nintendo will be giving away a feather stylus once again. The feature stylus was made available for Phantom Hourglass but it appears Nintendo is recycling the stylus for Spirit Tracks as well. Here is an image that can be seen while viewing the new website. 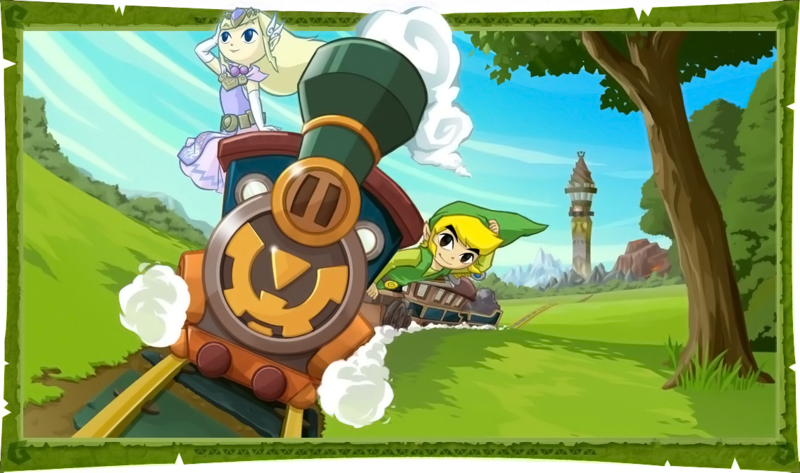 Spirit Tracks is scheduled for a release in North America on December 7th, less than FIVE WEEKS away.